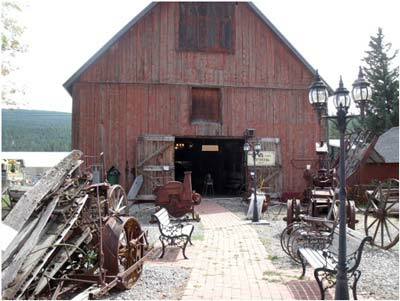 In January of 1989, the South Cariboo Historical Museum Society was formally registered as a Society in the Province of British Columbia. In 1999, the Society, with the help of many volunteers, moved the 1911 Povinicial Government Stables building from the Public Maintenance Yard to its present location behind the museum. The Clinton museum has occupied its current home in Clinton’s 1892 brick School building sine 1956. Prior to that, the collection was housed for three years in a shed on the Choate property adjacent to the past High Bar First Nation Office. A predecessor private museum was maintained by the Payne family, operators of the Pine Tree Auto Court in the 1930’s & 40’s. It all started with the Payne collection. 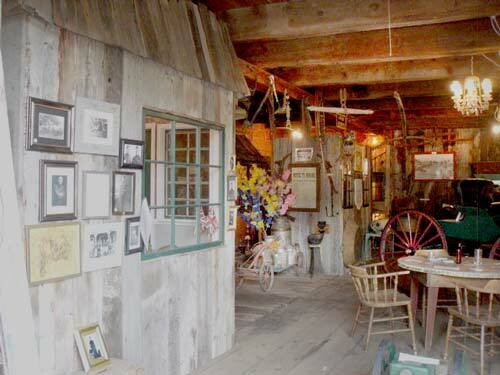 Many of the artifacts so diligently collected by Mr. Payne are still on display. Here’s the Payne collection as it looked in 1949. The large building in our back yard is the Provincial Government Stable, built in 1911 to shelter the heavy horse teams that helped maintain the roads of the day. It was moved onto museum property by volunteers in 2000. 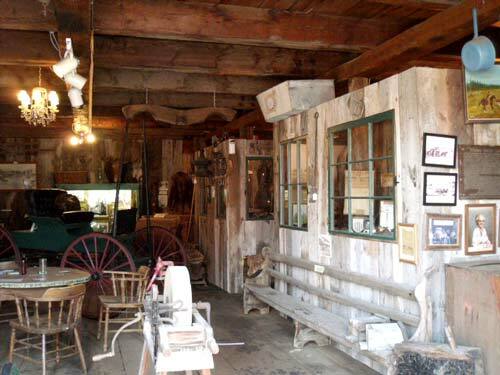 Displays in the Stable (or Barn), include pioneer family exhibits and many artifacts from the ranching and logging eras that followed the Gold Rush.